What Can You Do when Seniors Can’t Sleep? At our Home Care Agency in Bel Air, Maryland, we provide diligent care services to seniors who choose to age at home. As care providers, we recognize the valuable factor that sleep brings to a person’s overall health. No matter a person’s age, sleep always contributes greatly to one’s wellbeing. 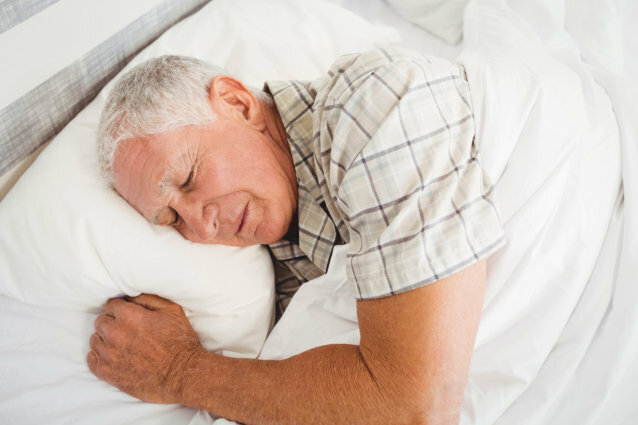 It can help for seniors to fall asleep better and faster when their body is adjusting to a specific routine. To administer quality Elderly Care, create a bedtime routine for your senior loved one to abide. Getting to do physical exercises can be beneficial for seniors to orient their body to take some rest after heavy activities. Exercising also helps set their mind about staying healthy aside from helping them to feel happy and energized. Seniors also need to eat well especially with their nutritious diets. When they are well-fed, they will not experience hunger pangs that may wake them up in the middle of the night. To assist your loved one in making these healthy meals, our team can help you out. Our aging family members can also be helped in sleeping better when their mind is relaxed. You can make this happen by playing soothing music to them or encouraging them to participate in a meditation activity. What your loved one drinks right before bedtime can also disrupt their sleep as they may wake up too soon. If possible, avoid giving them drinks right before they are supposed to go to bed. To address their hydration needs, allow them some sip every once in a while. As key providers of Skilled Nursing Services in Maryland, our highly qualified staff is here to provide you with the necessary assistance at home. We will help you ensure that your loved one’s wellbeing is always in its best condition. If you’re interested in our services at Caring Nurses Services, ask us. This entry was posted in Senior Care and tagged Necessary Assistance, Overall Health, Sleeping Challenges. Bookmark the permalink. © Copyright 2015 - 2019	• Caring Nurses Services • Home Care Web Design: Proweaver, Inc.